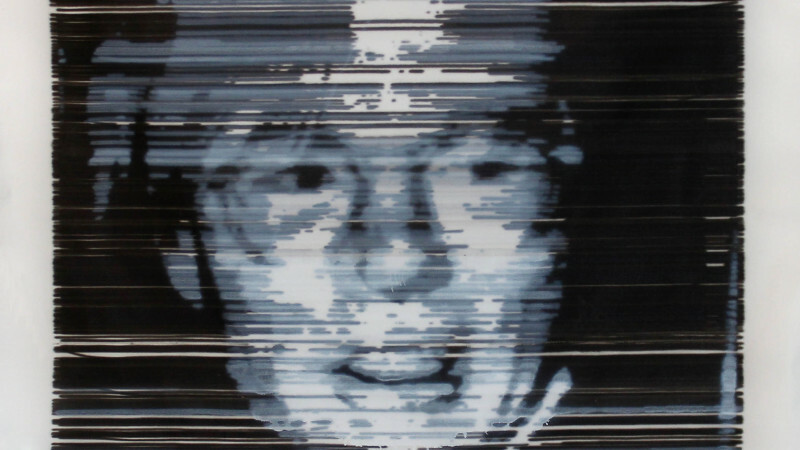 New York City, Oct 2 2014: Influential art and technology organization Leaders in Software and Art (LISA) will premiere the first-ever west coast exhibition of photography and paintings by tech art pioneer and Warhol photographer Anton Perich. The show runs Thursday Oct. 9-Sunday Oct. 12, at the inaugural edition of Art Silicon Valley/San Francisco, Art Miami’s new International Contemporary and Modern Art Fair at the San Mateo County Event Center. In the heyday of 1970’s New York, Anton Perich socialized with Andy Warhol, Iggy Pop, Lou Reed, Candace Bushnell and John Waters and documented the underground counterculture of the nightclub scene. The LISA booth at Art SV//SF will present portraits and abstractions from a treasure trove of never-shown large-scale paintings by Perich, an early visionary who anticipated the Digital Art and Maker movements decades before they seized the popular imagination. Along with being a transgressive filmmaker, photographer, and the publisher of Night Magazine, Perich is an inventor and engineer who built the first wide-format inkjet printer nearly 40 years ago. His paintings often feature 70’s style portraiture rendered by his painting machine, the first and only of its kind, in a process that never makes the same image twice. Together, Perich’s body of work combines to form a unique take on publishing and media that is part technological advancement, part retro throwback. Perich’s paintings evoke the scan line of the once-ubiquitous cathode ray tube television to create images that speak to the relentless march of progress and the impact of technology on publishing. In 1977-78, inspired by the dots and dashes of Morse code, Perich designed and built what he called an “electric painting machine” out of a motor, a photocell, airbrushes and bicycle chains. He projected his photographs onto large canvases up to 10 feet tall and 12 feet across; the photocell would trigger multicolored airbrushes at the differently shaded areas and return for another scan line, slowly making its way down the page, with glitches and variations a feature of the work. In 1979 Perich had his first show of these works at the Tony Shafrazi Gallery in New York. Anton Perich, a self-taught Croatian transplant who came to America in his twenties via 1968 avant-garde Paris, was a contributing photographer for Andy Warhol’s INTERVIEW Magazine in the early 1970’s and filmed the legendary stars in their element at the Chelsea Hotel, Max’s Kansas City and Studio 54. His photos of Andy Warhol are held in the collections of the Andy Warhol Museum in Pittsburgh and the Warhol Foundation, and his photos of Robert Mapplethorpe are part of the Robert Mapplethorpe Foundation. A selection of Perich’s open edition signed framed photographs will also be featured for sale. The black and white portraits capture art market darlings Andy Warhol, Robert Mapplethorpe, Robert Rauschenberg, and Jean-Michel Basquiat, as well as the musician Lou Reed, filmmaker John Waters, and the famed couturier Charles James, recently celebrated by the Metropolitan Museum of Art’s Costume Institute. A selection of Perich’s paintings from the 70’s and today will be featured in a solo show in New York City beginning October 17, 2014 at Postmasters Gallery, 50 Franklin Street in Tribeca. About LISA – Leaders in Software and Art (LISA) is a community of software and electronic artists who, since 2009, have gathered at monthly salons and an annual conference to learn from experts in the field. LISA connects curators, collectors and commercial enterprise with a network of tech artists working in the most cutting-edge area of contemporary art. At Art Silicon Valley/ San Francisco, Leaders in Software and Art brings expertise in digital art to established art galleries and experienced collectors. About Art SV/SF – Art Silicon Valley/San Francisco (Art SV/SF) is Art Miami’s new International Contemporary and Modern Art Fair on the West Coast. Opening October 9-12, 2014 and centrally located between Silicon Valley and San Francisco, the fair will showcase important artworks of the 20th and 21st centuries in collaboration with up to 70 of the world’s most respected galleries and art institutions. Art SV/SF will bring the first comprehensive, centrally located exhibition of top-quality International Contemporary, Emerging and Modern art to the communities of the SF Peninsula, while remaining convenient to the collectors, curators, art advisors, designers and tastemakers of San Francisco and the Bay Area.